"Success" is a state-of-mind -- and it's tied to gratitude. It affects how you see sales, savings, retirement, the local marketplace, and investment. And, of course, gratitude is the enemy of fear. It's like an opposite magnet for it -- walk in gratitude, and fear just melts away. So, here's my advice for this week: Whatever financial situation you happen to find your business to be in, find a way to be thankful. There are hidden blessings in any trial ... and hidden fears lying within any windfall. Find them, savor the blessings, and watch your business (and your mind) thrive. Annoyed because Hans wasn't hard at work, he halted his horse and asked, "What are you doing there?" Hans replied, "I was just thanking God for my meal." And the farmer saw Hans eating a modest lunch of rice and beans. "If that was my lunch, I wouldn't be giving thanks for it," the farmer said. "It's all I have," said Hans, "but it's all I need, so I give thanks." The farmer was about to ride on when Hans called out to him. "I thought I should tell you that I had a dream this morning. A voice said to me, 'The richest man in the valley will die tonight.' I just thought you should know." The farmer rode away, but Hans' words worried him. He was the richest man in the valley, wasn't he? So he called his doctor when he got back to his mansion. The doctor came out and looked him over, but found nothing wrong with him. 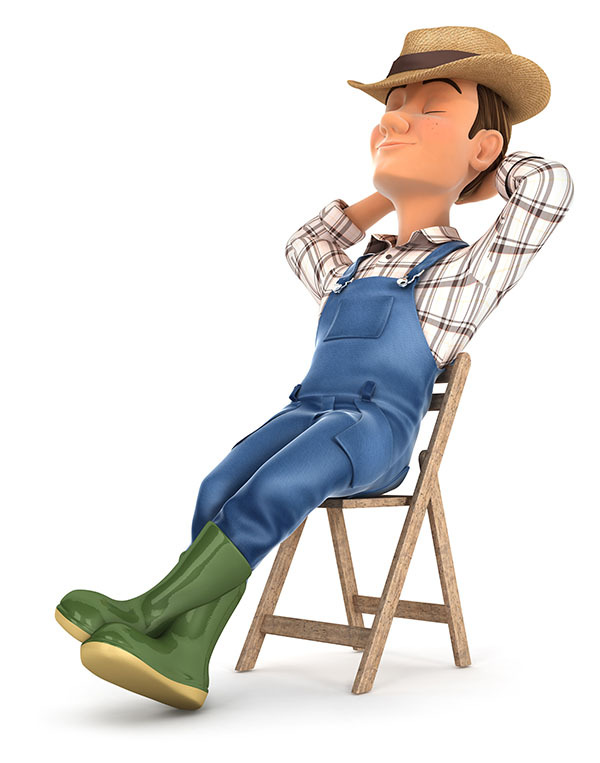 The farmer went to bed, still worried, and slept fitfully. When he woke the next morning he thought, "Well, there was nothing to that dream after all. Here I am, alive and well." Then a servant knocked at his door. "What is it?" the farmer asked. "It's about that old tenant farmer, Hans, sir," the servant said. "He died in his sleep last night, sir." Feel very free to forward this article to a business associate or client you know who could benefit from our assistance -- or simply send them our way. While these particular articles usually relate to business strategy, as you know, we specialize in tax preparation and planning for families and business owners.